According to the American Trucking Association, there are some 3.5 million truck drivers in the United States alone. That’s 3.5 million people who may lose their jobs once driverless trucks hit the roads in full force… which appears to be in the not-too-distant future. A large part of the economic efficiency boost will include the fact that driverless trucks never get tired and can drive for 24 hours straight non-stop, whereas humans obviously need to eat, take pee breaks, and sleep. Drivers are restricted by law from driving more than 11 hours a day and are required to take breaks each day. “That means the technology would effectively double the output of the U.S. transportation network at 25 percent of the cost,” Tech Crunch explains. In addition, truck drivers drive faster because they are paid by the mile and they’re trying to get more done, a situation which throws fuel efficiency out the window in a way that won’t happen with robotrucks which will drive at a steady, set pace the entire trip. 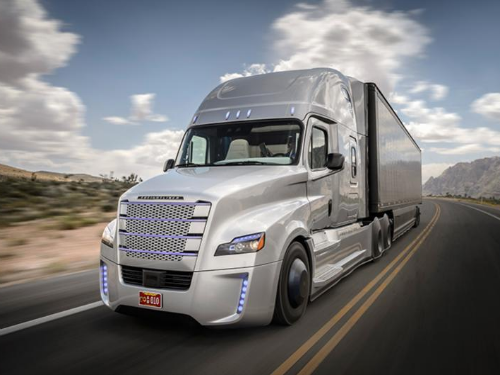 There are many ways that robotrucks will enhance the efficiency of the entire trucking industry… but, glaringly, those ways don’t involve humans having jobs. The list goes on and on but the message is clear: robots and AI are here and millions of people, from factory workers to front desk clerks to truck drivers, are going to have their entire livelihoods yanked away. How are so many people going to be able to put food on the table and pay their rent when there are no jobs for them to get paid to do so? Perhaps that’s why law enforcement is training so hard for martial law.